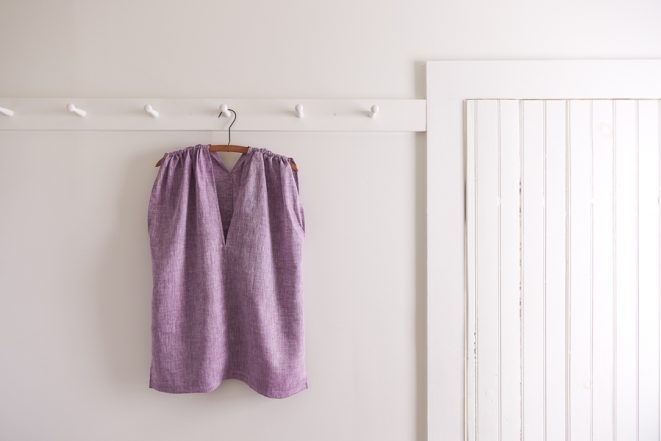 Our Tunic with Gathered Shoulders is the perfect summer top, both breezy and beautiful. 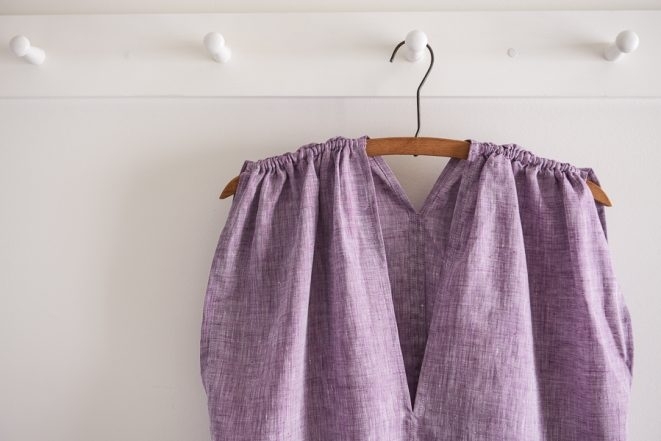 It’s also fun and easy to make, just what you want out of summer sewing! Originally in Handkerchief Linen, this summer we made a bright, fresh version in our lovely Watercolor Linen. 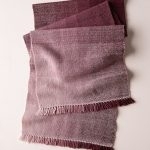 Woven with one color as the warp and another as the weft, Watercolor Linen is a luminous, almost glowing fabric. Special indeed! 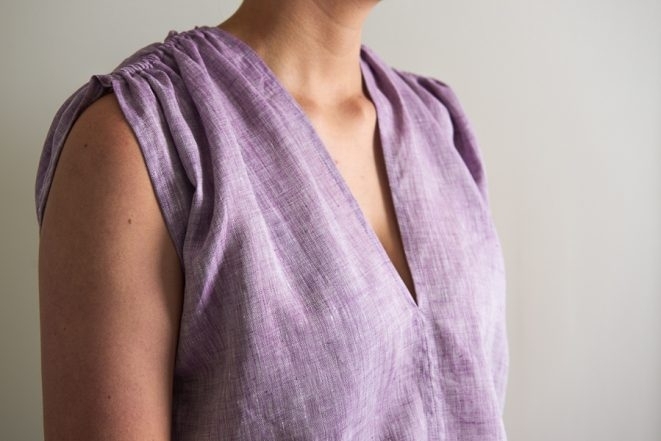 A simple, straightforward garment like our Tunic with Gathered Shoulders is a great place to show off the beauty of Watercolor Linen. 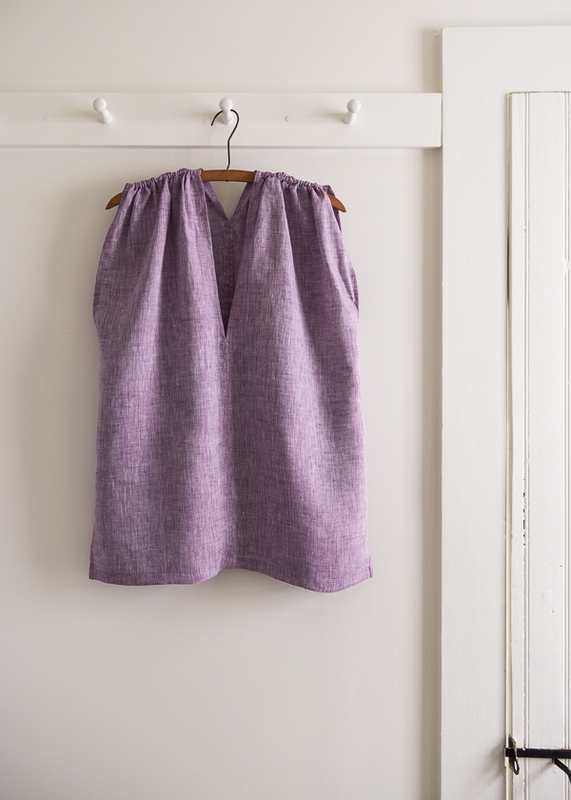 So, go ahead and give it a try, summer sewing awaits! 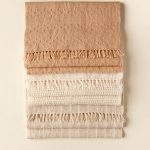 1 (1, 1, 2, 2) yards of Purl Soho’s Watercolor Linen. 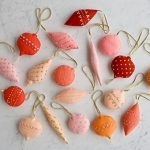 We used Sugar Plum. 1 yard of Purl Soho’s Neon Lacing. We used White, but you don’t see the Lacing in the finished Tunic. Sample: The Tunic shown here fits a chest size 32-35. For the free pattern, please visit our original Tunic with Gathered Shoulders story. In a longer version this would also make a great summer dress. Thanks for the recommendation! We will keep your request in mind for the future! So pretty! that would be great here in Denver where it is HOT. This would also work beautifully as a shortish dress, don’t you think? 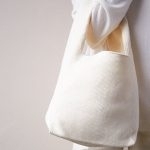 (or would that look to shapeless given the stiffness of the linen?) Any tips on how to lengthen to just above knee length? we don’t have this pattern available as a tunic or dress but we will keep the suggestion in mind. 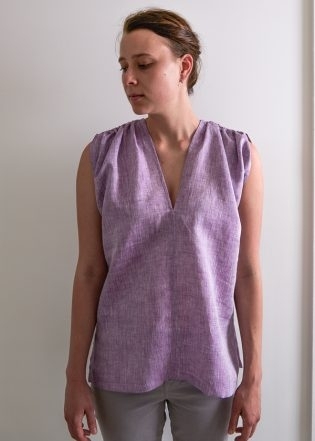 We do have another pattern that may fit the bill… https://www.purlsoho.com/create/2015/06/15/sewn-raglan-shirt-tunic-in-linen-grid/ ? I love it. How would it look as a dress to the knees ie just made longer do you think? I think this is a great idea and I think it would look great! All you have to do is make the shirt longer by elongating the side seam line on the pattern. Best of luck and let us know how it goes! Hi, thanks for the pattern, would like to make a few but have a few questions first. I need at least a 1/8-1/4 length sleeve, any suggestions for alterations to alter the pattern? 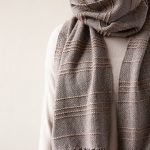 Can’t seem to find the PDF link for this pattern, thanks. Thank you for writing in to us. Their is no physical pattern for this project. Please click here for the original post which describes how to sew the pattern. I don’t know what you mean about the 1/8-1/4 sleeve. Please let me know!